Healthy Diet Tips: Avoiding Animal Sources of Nutrition Unhealthy? 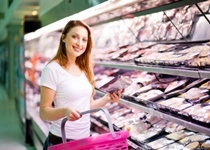 Home » Food and Nutrition » Avoiding Animal Sources of Nutrition Unhealthy? Avoiding Animal Sources of Nutrition Unhealthy? For whatever reason, people like to claim that their way of eating is the best. There are always extremists who constantly remind everybody that a strict diet, free of this, that, and the other thing is always healthier for you than anything else; however individual health and sufficient nutrition isn’t taken into consideration when the line between what to eat and what not to eat is so clearly defined. Vegans, raw vegans, and vegetarians make the decision to go meat-free for a number of reasons. Some don’t agree with the idea of killing animals to feed humans; some don’t condone modern farming techniques; some believe that fruit, vegetables, and seeds can provide all the nutrition they need; and some believe it’s the “natural” way of eating. It’s only since the arrival of dietary supplements that vegans and vegetarians have been able to get all the nutrition they need without meat. Even still, those who refuse animal products entirely are often deficient in a number of important nutrients that are essential for brain and body function. Let’s take a closer look at a few important nutrients that you cannot get from food sources aside from animal products. Your body doesn’t produce any vitamin B12, but it is absolutely essential for healthy brain and body function; it also comes entirely from animal sources. The only time plant foods have vitamin B12 is when they’ve been fortified. Vitamin B12 is a water-soluble vitamin, meaning it dissolves in water, and is found in nearly every cell in the body. It plays an essential role in the formation of blood and the completion of healthy brain functions. If you have a vitamin B12 deficiency, you’re at high risk of anemia, impaired brain function, and potentially a smaller brain overall. There are some studies that even link vitamin B12 deficiencies to Alzheimer’s disease. Furthermore, even a slight drop in vitamin B12 can induce symptoms like depression, poor memory, and fatigue. The best sources of this essential vitamin are organ meats (like liver), shellfish (like clams), meat, poultry, eggs, milk, and other dairy products. If you absolutely refuse to eat meat, then you can use supplements or purchase fortified foods. It should be noted, however, that the body doesn’t absorb fortified plant sources of vitamin B12 very well, and non-animal sources are not considered wholly reliable, according to the National Institutes of Health. Docosahexaenoic acid (DHA) is one of the essential fatty acids known as omega-3. You’ve likely heard of omega-3 fatty acids by now and the various health benefits they offer. What you might not know is that you absolutely have to get them from outside sources because your body doesn’t produce them naturally. The only natural food source to get DHA from, specifically, is fish oil. In fact, if you don’t take in dietary DHA, you’ll get sick. It’s the most abundant form of fatty acid in the brain (which is about 60% fat), and it is required to regenerate brain cells and further develop the brain. Without enough DHA, you may experience cognitive decline and memory problems. Vegans often tend to replace animal-based omega-3 sources with flaxseed or other plant-based fats. The problem here is that flaxseed, for example, has ALA fatty acids, but not DHA. ALA can be converted into DHA, but the process is extremely inefficient and is not recommended. Many vegans are deficient in this essential fatty acid because they don’t consume animal products. The best sources of DHA are fatty fish like salmon, mackerel, cod, and fish oil supplements. If you wish to maintain your vegan diet, talk to your doctor or nutritionist to discover if there is a non–fish oil DHA supplement you can take instead. Having said that, know that at the very least, a fish oil supplement is your best bet for getting the quality DHA your body needs. Creatine is naturally produced in the body and is used to provide energy to the muscles and the brain. It’s typically associated with bodybuilders and athletes as a way to build muscle and gain strength and muscular endurance, but it has a number of health benefits for anyone who takes it, including cognitive performance. Creatine helps refuel ATP, which is what provides energy to your muscle and brain cells. You might not consider it, but your brain needs energy to think, and creatine can play a big role here. Creatine is typically found in red meat and wild game meats, as well as fish. Although your body produces it naturally, eating food or supplementing with creatine monohydrate helps keep cellular energy stores high, so you can think and function properly. In fact, one study showed that vegetarians who take creatine supplements saw improvements in cognitive performance, while meat eaters saw no improvements (because they were already getting enough creatine through dietary sources). Again, while natural food sources are the best option, talking to your health practitioner regarding the best creatine supplement for you is your second-best option. Benton, D. and Donohoe, R., “The influence of creatine supplementation on the cognitive functioning of vegetarians and omnivores,” British Journal of Nutrition April 2011; 105(7): 1100–5, doi: http://dx.doi.org/10.1017/S0007114510004733. Gerster, H., “Can adults adequately convert alpha-linolenic acid (18:3n-3) to eicosapentaenoic acid (20:5n-3) and docosahexaenoic acid (22:6n-3)?” International Journal for Vitamin and Nutrition Research 1998; 68(30): 159–73. Gunnars, K., “5 Brain Nutrients Found Only in Meat, Fish and Eggs (NOT Plants),” Authority Nutrition web site, http://authoritynutrition.com/5-brain-nutrients-in-meat-fish-eggs/, last accessed January 16, 2015. Kornsteiner, M., et al., “Very low n-3 long-chain polyunsaturated fatty acid status in Austrian vegetarians and vegans,” Annals of Nutrition and Metabolism 2008; 52(1): 37–47, doi: 10.1159/000118629. Oh, R. and Brown, D.L., “Vitamin B12 deficiency,” American Family Physician 2003; 67(5): 979–986. Tangney, C.C., et al., “Vitamin B12, cognition and brain MRI measures: a cross-sectional examination,” Neurology September 27, 2011; 77(13): 1276–82, doi: 10.1212/WNL.0b013e3182315a33. “Vitamin B12,” MedlinePlus web site, February 18, 2013; http://www.nlm.nih.gov/medlineplus/ency/article/002403.htm, last accessed January 16, 2015. Wanh, H., et al., “Vitamin B12 and folate in relation to the development of Alzheimer’s disease,” Neurology May 8, 2001; 56(9): 1188–94, doi: 10.1212/WNL.56.9.1188.